Supported in part by National Institute of Child Health and Human Development Grants P01 HD35946 & P01 HD35946-06,“Spina Bifida: Cognitive and Neurobiological Variability” and by National Institutes of Health Grant 1RO1 HD04946, “Social Outcomes in Pediatric Traumatic Brain Injury.” We thank Beverly Andres for help with manuscript preparation and Laura Janzen for assistance with the brain tumor literature. Dennis, M., Spiegler, B. J., Juranek, J. J., Bigler, E. D., Snead, O. C., & Fletcher, J. M. (2013c). Age, plasticity, and homeostasis in childhood brain disorders. 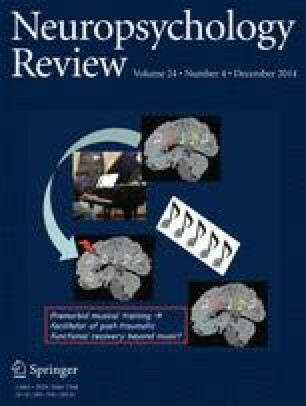 Neurosci Biobehav Rev, In press. doi: 10.1016/j.neubiorev.2013.09.010. Jaspar, M., Genon, S., Muto, V., Meyer, C., Manard, M., Dideberg, V., et al. (2013). Modulating effect of COMT genotype on the brain regions underlying proactive control process during inhibition. Cortex, In press. doi: 10.1016/j.cortex.2013.1006.1003. Raz, N., & Lindenberger, U. (2013). Life-span plasticity of the brain and cognition: From questions to evidence and back. [Editorial]. Neurosci Biobehav Rev, doi: 10.1016/j.neubiorev.2013.10.003.